Sailugem national park has been founded early 2010. The main goal of Sailugem park is to protect, preserve and extend rare or threatened with extinction animals and plants on the red list of Russia. Among the animals that are living in the park are Altai Argali, a subspecies of the Argali (a wild sheep), and snow leopard. The park consists of three parts: Sailugem, Ulandrick and Argut. 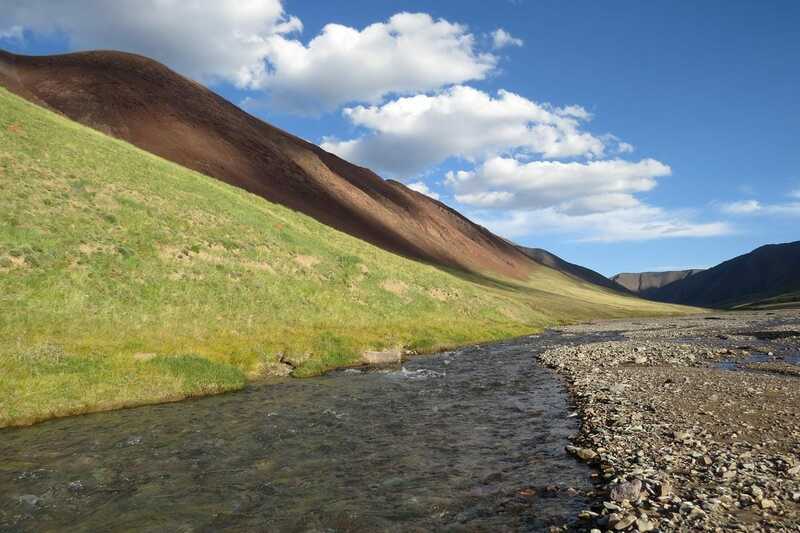 Both Sailugem and Ulandrik are on the border between Russia and Mongolia. 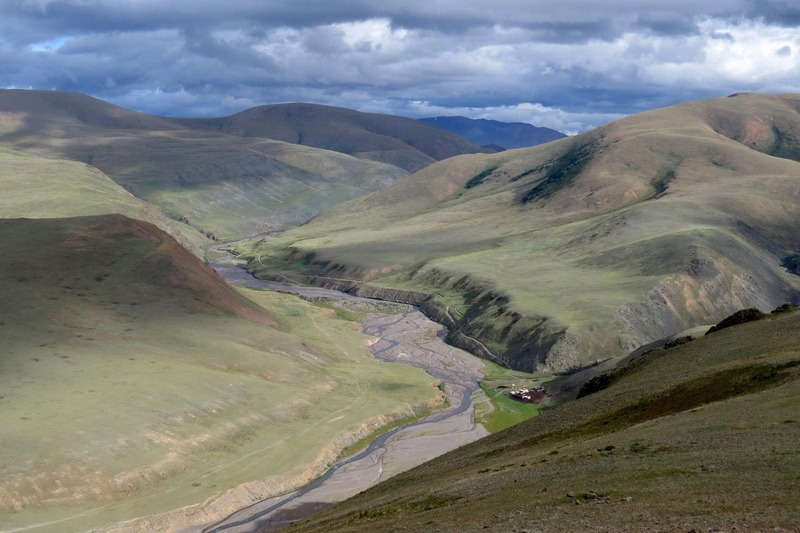 Sailugem is a mountain ridge in the south-east of the Altai region on the border of the Republic of Altai and Mongolia. The ridge is 130 km long and is situated on 3499 meter above sea level. The ridge acts as a watershed between the rivers Argut and Chuya (which ends in the river Ob) and the rivers of the Kobdo basin. The Climate is rigorous, sharply continental and the temperature may drop to -62°С in winter. The frost-free period lasts for 35-60 days. In the park there are about 300 lakes of different origin and 17 glaciers. The water of the glaciers and rain fills the rivers Djazator, Tarkhata and Chagan-Burgazi.The rivers Karasa and Sarjemata come together. The valleys are situated more than 2000 meter above sea-level. Trees are not growing on the territory of the park but the views on the high, snowcapped mountains will compensate this. Lichen and rocky tundra prevails in highlands while steppe areas appear in southern slopes lower 2600 meters. 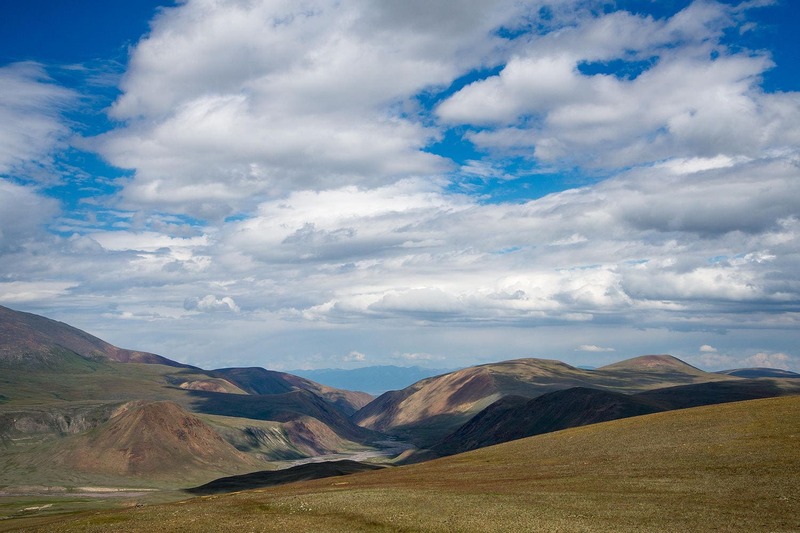 Deserted steppes go high into the mountains which together form various types of tundra-steppe. They coexist with wetlands and rocks. Subalpine and alpine meadows may be found rarely, they occupy a small area. In steep slopes we may come across savin juniper. Other types of vegetation (marches, salt marches) are not common nor widespread. 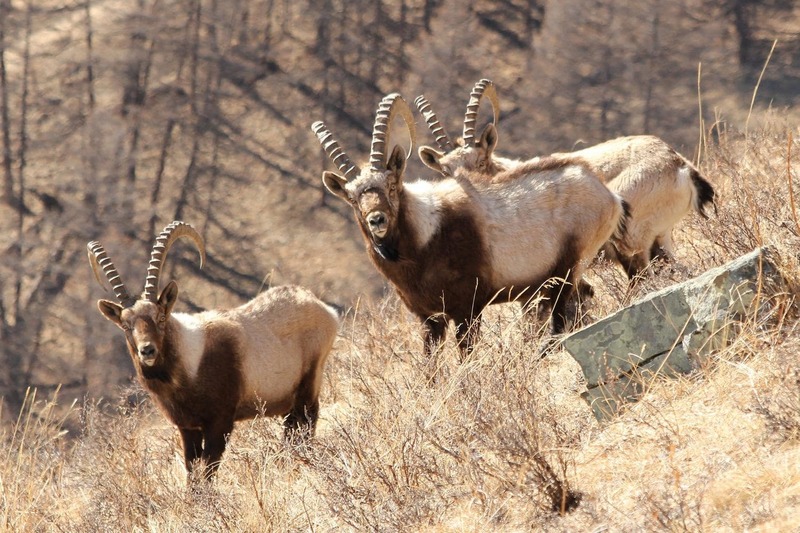 The biggest subspecies of the Argali, the Altai Argali (a kind of wild sheep) are living in the park. The largest population exists of 30-40 animals which is 25% of the total population. They live on average altitude and down to the river Argut. The snow leopard is living much higher in the mountains. 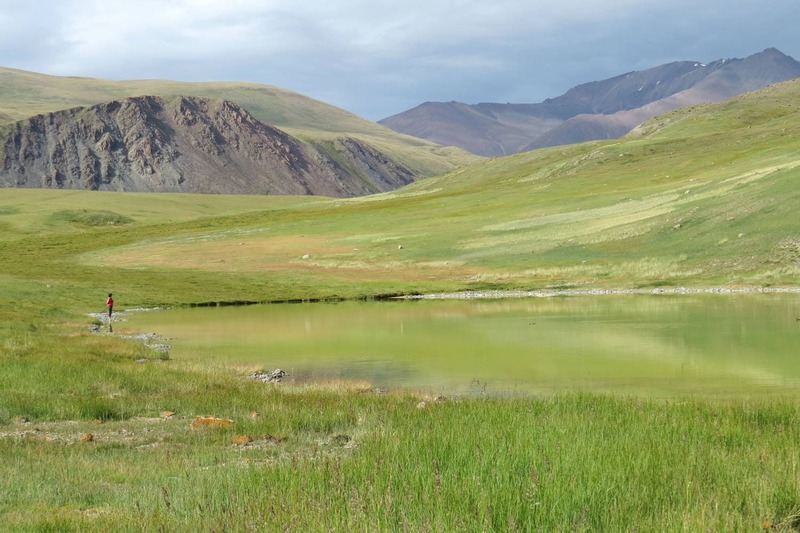 In addition to that, a special protected nature reserve has been created for the preservation of one of the largest groups of Siberian Ibex and the Sacor Falcon in the Altan-Sayan ecoregion. In the park grows a large number of rare species of plants which are only growing in a small area. One of them is the Astragalus. Different kinds are present on the red list of the Republic of Altai. 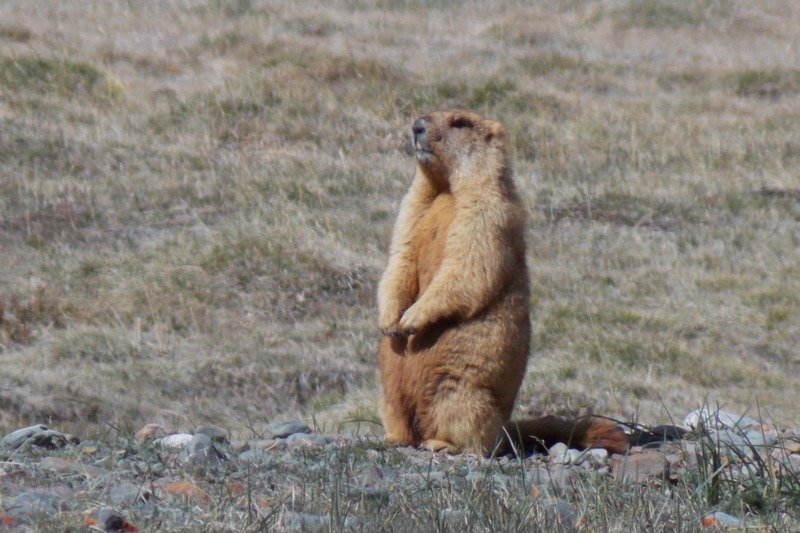 In the park several species of small mammals can be found like hares, (The Pallas hare, the Daurian pika and the tolai hare) and mouse-like rodents – striped hamsters, dwarf hamsters, the Mongolian vole and much more. – Birds: Among others we can encounter the brown accentor, rosy finch, snow finch, Pere David’s snow finch, red-billed chough, Altai snowcock, mountain partridge and others. 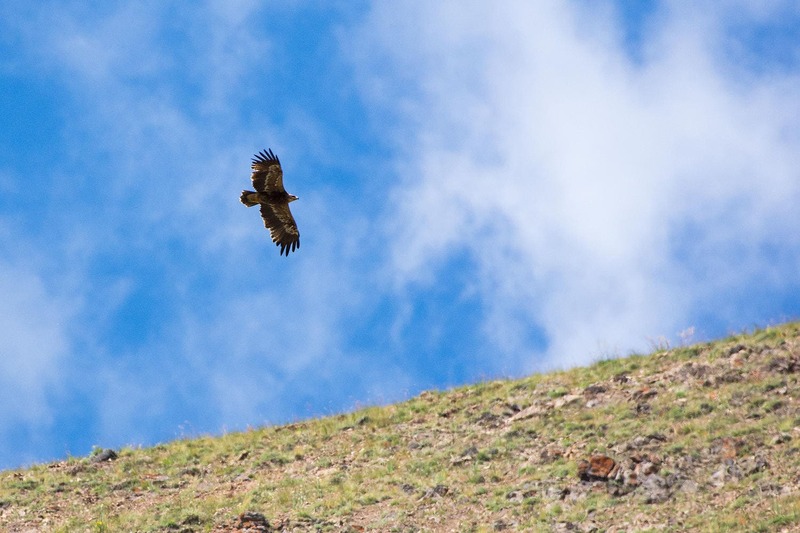 In the park many large birds including birds of prey like Upland Buzzard, steppe eagle, golden eagle, black vulture, griffon vulture, bearded vulture, sacor falcon, and eagle-owl may be observed.